From Comets to Wakins Golden Touch stock them all. Golden Touch source Marine fish from all over the India. No one offers a better selection of healthy marine fish for the saltwater aquarium than Goldentouch. From angels, to clownfish, tangs, wrasse and more. The finest specimens in the world are just a click away. The range of tanks, fish bowls, breeding tanks, stands, hoods, and starter kits we offer can assist you in selecting properly sized aquarium supplies for your water dweller. Golden Touch is your best source for salt water fish and marine life. Our selection of salt water fish, tropical fish, marine fish, reef fish and salt water tank fish is unmatched. Aquarium Plant Feeding and Maintenance at animal-world, Provides Information on Plant Care of Aquarium Plants Using liquid Fertilizer and Other Plant Food Including Aquarium CO2 Systems. 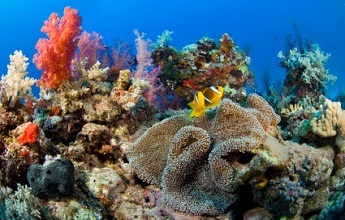 "No aquarium in a marine land, can begin to duplicate the conditions of the sea. And no dolphin who inhabits one of those aquariums or one of those marine lands can be considered normal." 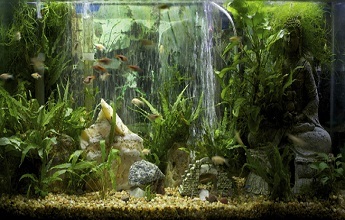 Aquarium aesthetics compromised by persistent algae is a common annoyance for most hobbyists. It is easy to regard algae as the problem, but aggressive algae growth is merely a symptom of a series of underlying water quality issues. Attempts at controlling algae are often unsuccessful if the root causes are not identified. In its most basic role, aquarium lighting allows hobbyists to observe aquarium inhabitants. But more importantly, proper aquarium lighting provides vital energy to photosynthetic plants and animals. Proper aquarium lighting is essential for any system that contains photosynthetic organisms such as plants, anemones, or corals.
" I have been nervous about ordering fish & corals over the internet, however I placed an order with LiveAquaria the other day and was very pleased!
" I want to compliment you on your service. I have never mail ordered aquatic life before, and was pleasantly surprised with your service.
" You guys are great. Terrific fish, very healthy. The only online store that I would order from! 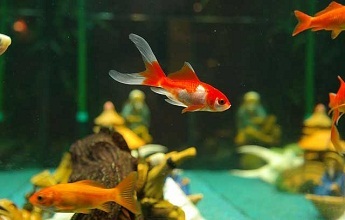 Golden Touch is the largest supplier of high quality marine, aquarium fish to the retail sector in Delhi. With over 32 years’ experience in supplying aquarium retailers around India, Golden Touch Industry continues to lead the market, sourcing new and exciting species from all over the world. Golden Touch provide full support to our retailers & their customers, with our extensive range of fishes available at our store. Golden Touch is committed to offering sustainably raised aquatic life that is either aquacultured or responsibly harvested, which includes careful attention to both the animals and the habitat. Feed your fish the proper food in small amounts, 1-3 times a day. Gravel, enough for a depth of at least an inch in the front & 3 inches in the back.